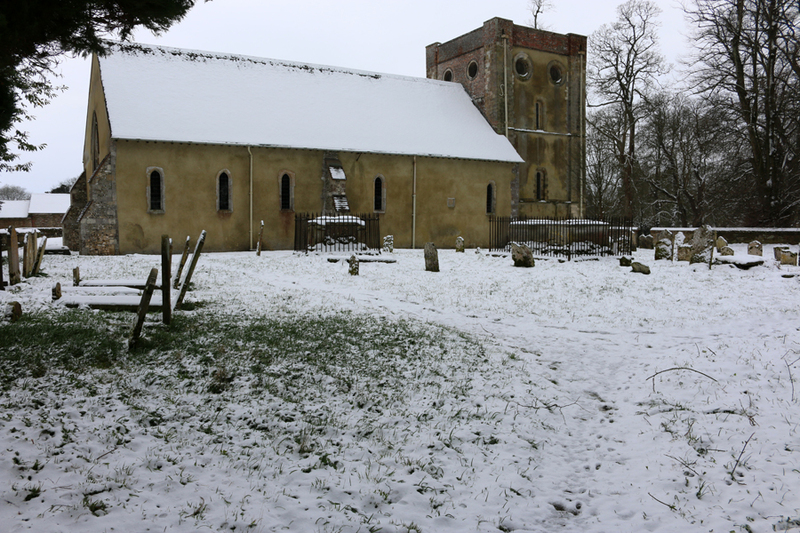 The tower is dated 1125; the nave and chancel are 1270 or so. 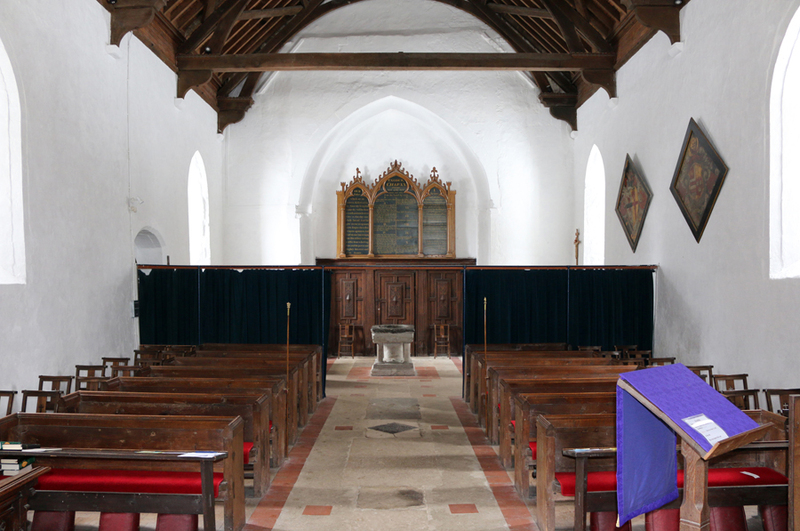 The chancel is separated from the nave, as to be expected, by a rood screen. 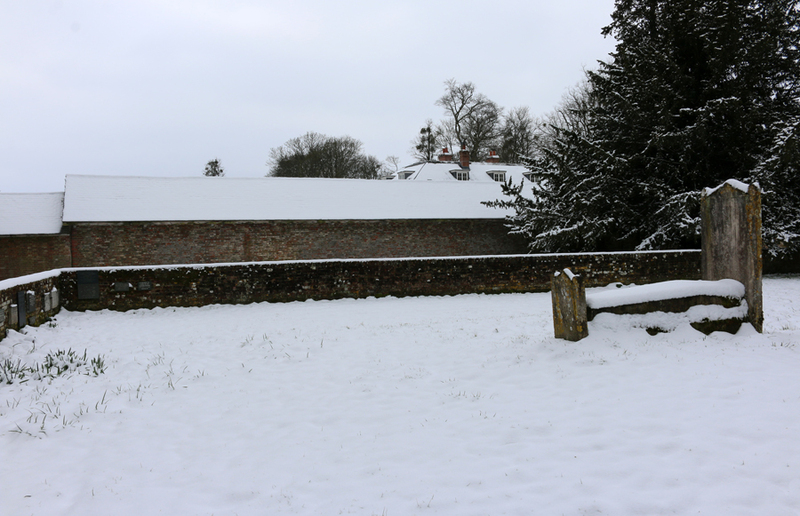 This one is beautifully carved in the Jacobean tradition and dates from 1634. 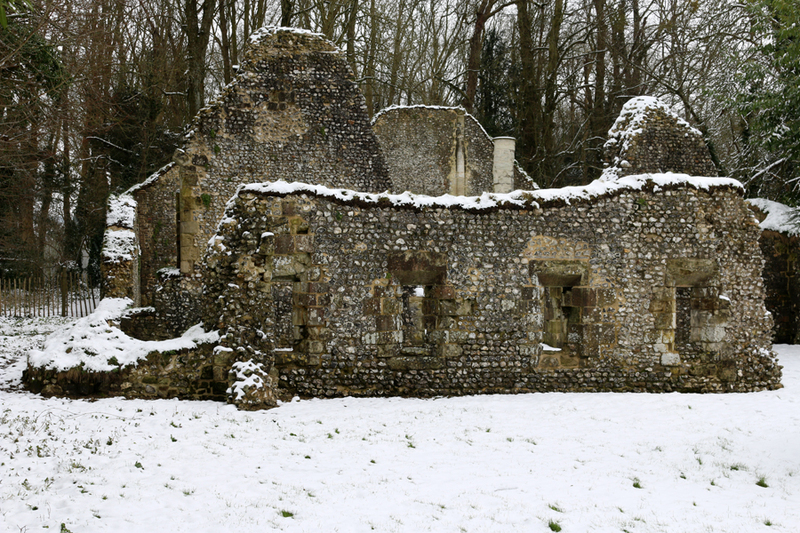 The ruins are of King John’s House and date from the 1230s. 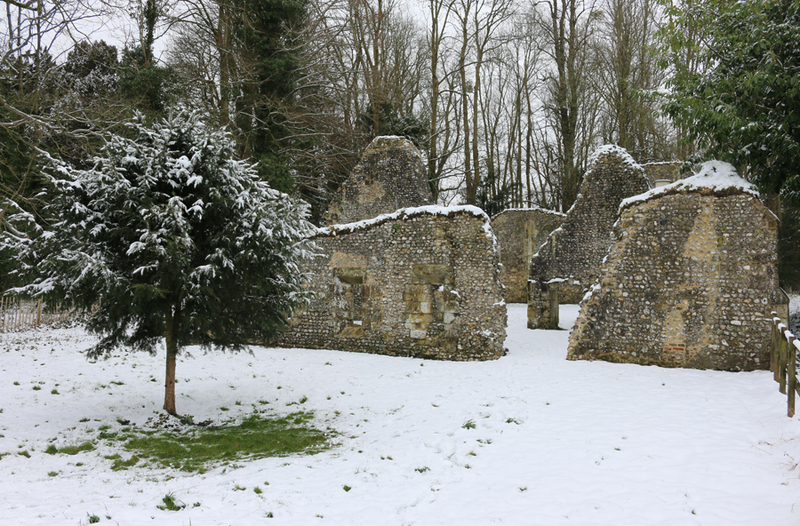 In the mid 18th century they were consolidated to form a picturesque feature of the pleasure grounds. 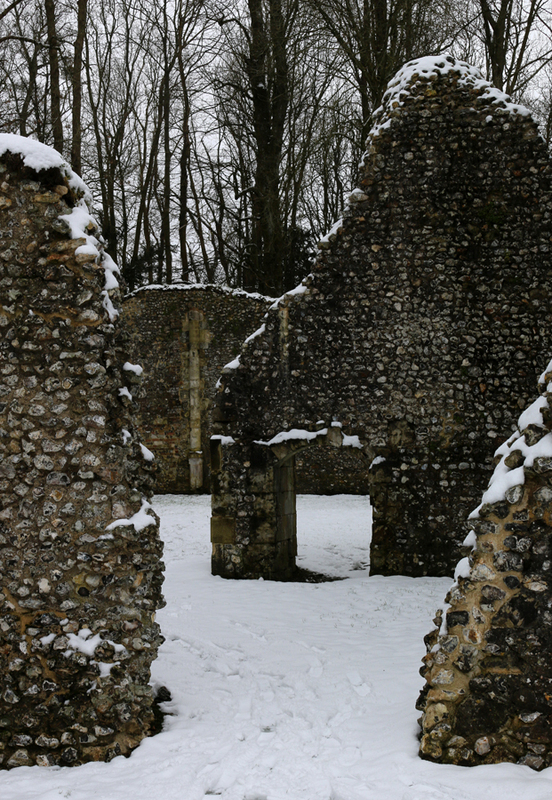 Jane Austen was familiar with the estate – her Pride and Prejudice character Lady Catherine de Bourgh is meant to be named after a member of the de Burgh family who once owned the estate. 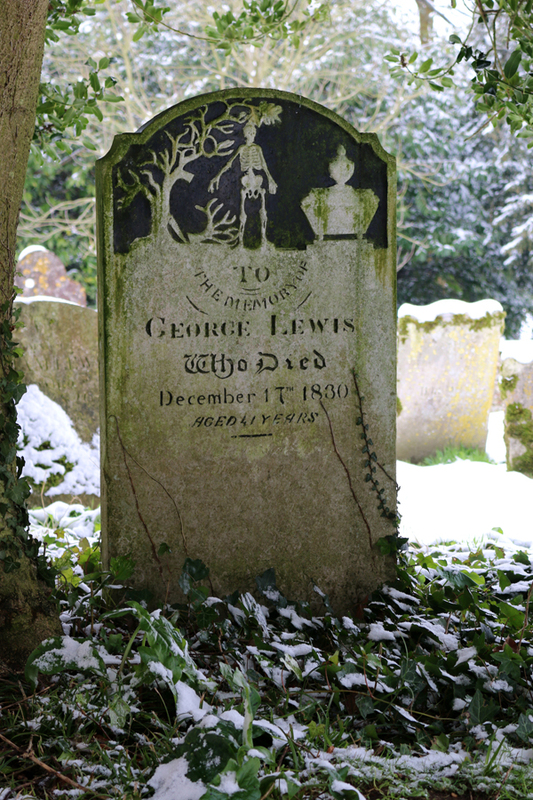 Under a holly tree next to the church porch is a gravestone with an unrevealing inscription: “To the memory of George Lewis who died December 17th 1830 aged 41 years.” But a graphic carving suggests this wasn’t a peaceful passing. It depicts a skeleton standing under a tree next to a funeral casket. An extended arm points to a fallen branch and a saw leaning against the trunk. 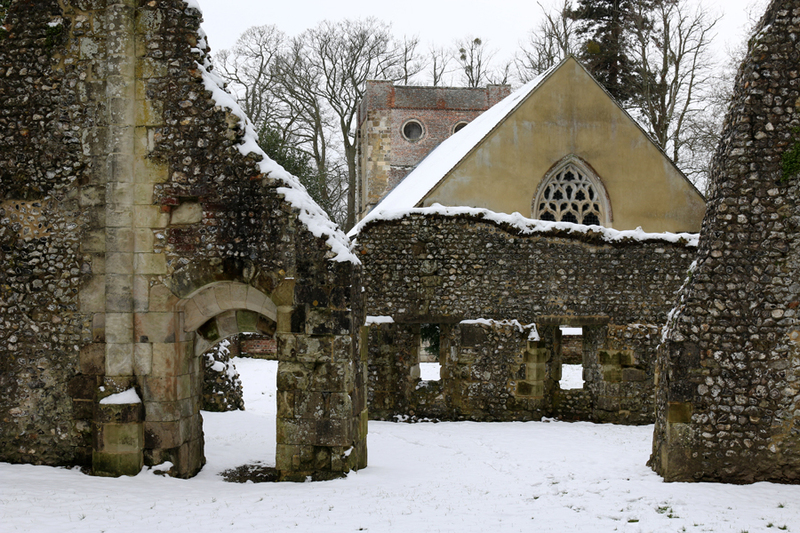 Rural legend has it that the unfortunate George, who was the estate carpenter, was in the habit of working Sundays despite dire warnings from the Rector of Our Lady’s Church. One day, a branch fell off a tree and sent him to his Maker. 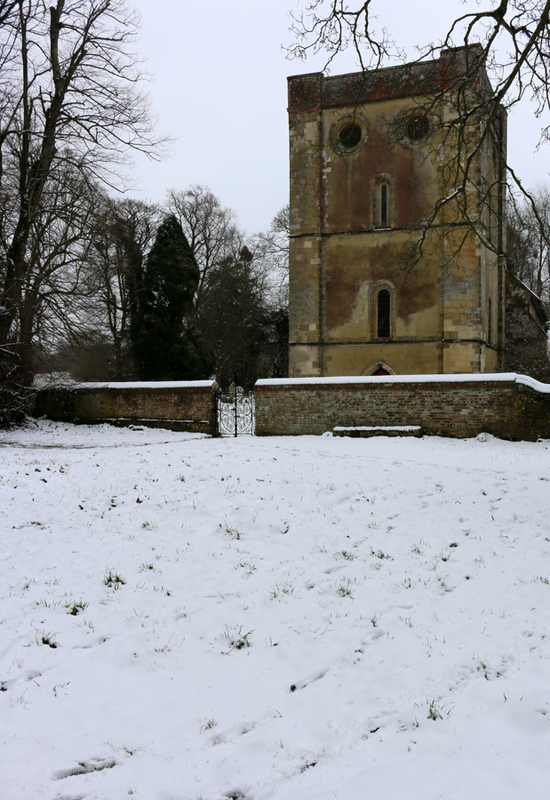 This entry was posted in Architecture and tagged king johns house, lavender's blue, stuart blakley, the church of our lady warnford, wheely. Bookmark the permalink.